Special Interest Groups are a unique way to support the Norton while enhancing your relationship with the Museum beyond a traditional membership. Members of these groups enjoy distinct opportunities to attend exclusive events, engage with artists, art professionals, and Museum curators, and expand their knowledge of the Museum and art world. Participants gather for exclusive programming, including collection visits, special presentations by experts in the field, and the annual acquisitions meeting. The Friends of Chinese Art (FOCA) supports the acquisition of art for the Norton's Chinese collection, the annual Chinese New Year, and more. Since its founding, Contemporary and Modern Art Council (CMAC) support has made possible the acquisition of numerous artworks dating from 1968 and beyond. A vibrant group of young professionals committed to supporting the Norton. Young Friends enjoy exciting opportunities to connect with like-minded peers while learning about the Museum Collection and special exhibitions. This series of upper level memberships ($2,000+) offers exclusive access to the Norton and its curators, while providing vital support to the Museum. Benefits include curator-led tours, Curated Travel opportunities, recognition in select Museum publications, and an annual day trip to Art Basel Miami Beach. Corporate Members of the Norton receive exclusive benefits for their employees and clients while aligning their brands with the excellence and artistry of the works on view in the Museum. 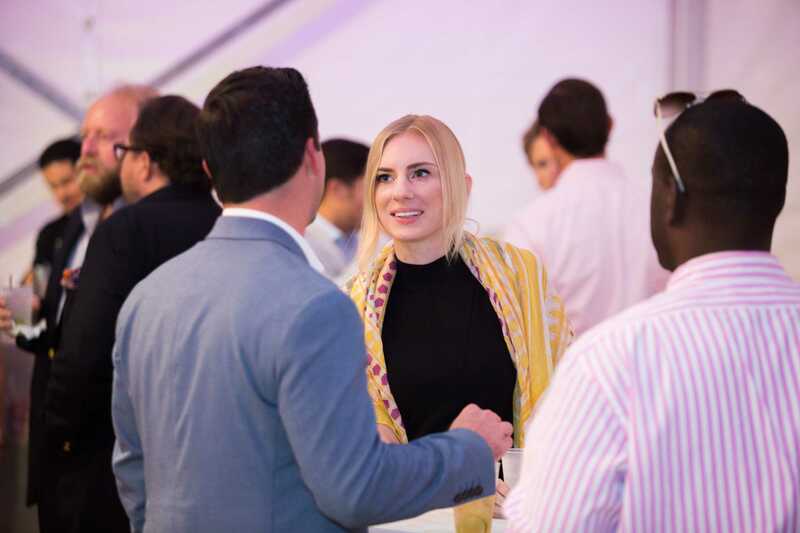 The Young Friends Acquisition Council is a unique opportunity reserved for Young Friends Patron members to further engage their interests in collecting and the current art market through conversations with curators and art professionals.